“As the modernization of the city is in progress, the living pattern has been changing a lot. People get less exercise, rely more on transportation by cars/buses, eat more meat and fewer vegetables, and drink more liquor. As a result, we are seeing more diabetes, high blood pressure, and other health problems. This is a public health issue. It is hard for a hospital to change a whole society, but we will keep doing the work and make headway on our end.” stated Harry Huang, VP of Special Projects for The Jilin Heart Hospital. Leading the change is Dr. Roland Fasol, Chief of Cardiac Surgery of Jilin Heart Hospital’s Catheterization Laboratory, selected by Ria Inducil, Healthcare Recruiter at Goldbeck Recruiting Inc. in Vancouver, BC, Canada. Ria has been placing professionals in the Healthcare industry for 15 years throughout Asia and North America. Ria used her already established contacts in the Canadian medical field, and broadened her scope across the globe to augment the hospital with the international talent of Dr. Fasol — whom could not be happier. 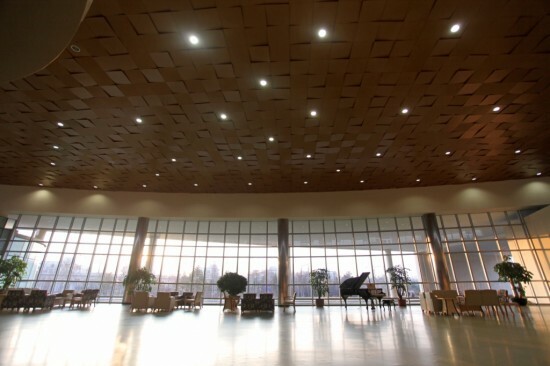 “Jilin Heart Hospital’s requirement at first glance was almost impossible to reach, but through the stringent process of using various medical sources and thinking out of the box, I was able to zero in on the professionals that best meet the needs of my client,” commented Inducil. “Recruitment is more than addressing the technical requirements of a particular position, it is also about understanding the potential candidates’ personal and professional motivations and ensuring that employers have the mechanism to satisfy them. Not factoring this into the cycle pose potential turnover issues.” says Huang. The Austrian-born Dr. Fasol helped launch The German Hospital Tirana. Fasol also served as a war surgeon during the Cambodian War and co-chaired the Heart Clinic in Bad Neustadt, Germany– at the time, the largest cardiac department in Europe. He has also performed over 7,000 open heart surgeries over the years. Thanks to his international experience, Fasol set the contemporary protocols and guidelines for the Jilin Heart Hospital and by doing so, he has raised the bar to the western medical standards that very few in China have ever benefited from. “There is no evidence-based medicine in China, neither the education nor the training, so, the two doctors that just joined our hospital will lead us on the right track to evidence-based medicine and practice and ultimately, benefit our patients in the long run,” says Huang. Thanks to Jilin Heart Hospital’s groundbreaking approach to medicine in China, they have been able to partner with North American and European hospitals that share the same ideals. One of which is the University of British Columbia’s Children’s Hospital who will be visiting Jilin Heart Hospital once or twice a year to share resources and expertise. The UBC Children’s Hospital came to them from Vancouver, British Columbia, Canada and is funded by Children’s HeartLink. Recruiters from Canada may wish to brush up on their immigration laws over the next year. There will be positive changes allowing for a greater global recruitment strategy.